The Special Education Program provides rights-holders with the individual instruction necessary to succeed in the classroom. The program supplements classroom learning and allows students to participate in normal classroom activities while also recognizing the additional educational needs of particular students. This program helps fulfil the goals stated in the ELS action plan (GOAL 7: To provide for individual differences and to assist in integrating students with special needs and/or disabilities within the school and the community.) which value the educational differences between students. They are concerned with meeting the needs of those differences in a way that does not disturb the overall classroom setting. These efforts have successfully kept students from having to repeat classes, thus keeping them on track to graduate with their peers. This project has been implemented by a qualified teacher, who was hired for this purpose alone. The rights-holders of this project are approximately 25-30 students of the ELS from classes one to five. The rest of the students (417 in number) also benefit from the teacher’s assistance in the school, as her work will help to reduce unnecessary disruptions in the classroom and allow for more productive lessons. The project will affect approximately 25- 30 rights-holders, boys and girls alike as determined by classroom teachers at the beginning of each semester. This project will provide rights-holders with a sense of self-confidence and pride in their achievements and studies. 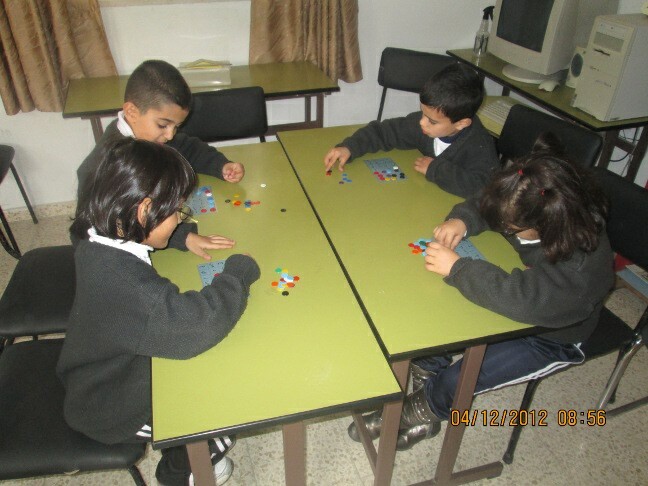 It will also foster a sense of inclusion, as rights-holders will be able to integrate into the daily classroom routine. The Special Education Instructor has been working to assist pupils in benefitting from extra support in the teaching-learning process; she has equipped the special education classroom with all the tools, instructional materials, and indicative boards in addition to some concrete educational aids necessary to support the teaching-learning process. 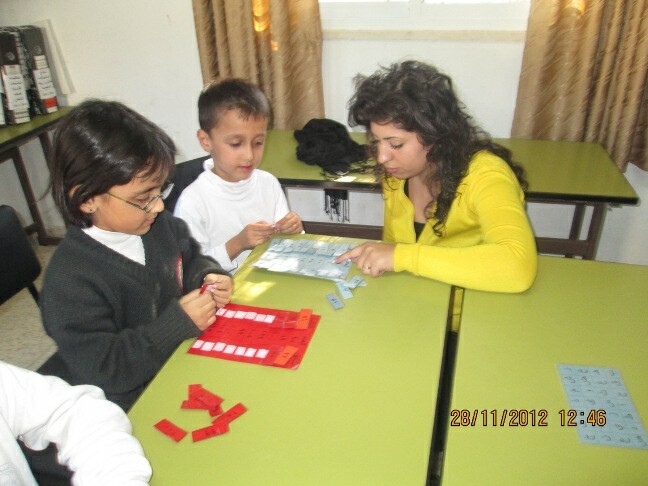 Her goal has been to fulfil the pupils’ interests. Moreover, she has specified a follow-up file for each pupil to demonstrate the level of progress attained at the beginning, middle and end of the year. By the end of the first semester, 35% of the pupils receiving special education achieved progress albeit in different degrees.